Broadland was designed with the larger leg in mind. Available in a range of standard and wider fit versions, the Broadland is manufactured from nubuck leather with a rubber riding sole. The ankle is generously crafted to allow freedom of movement and a comfortable fit. 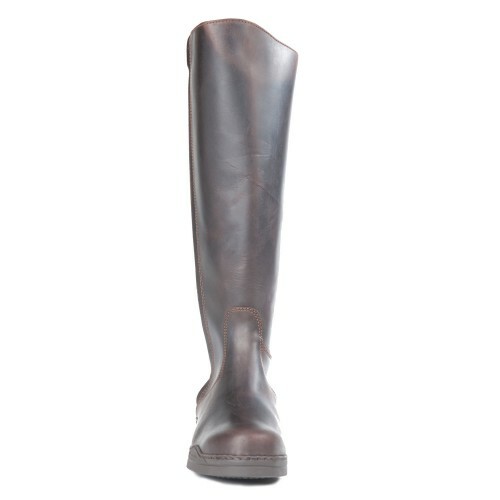 The rear of the boot has a stretch panel to allow for additional movement and fit around the calf. 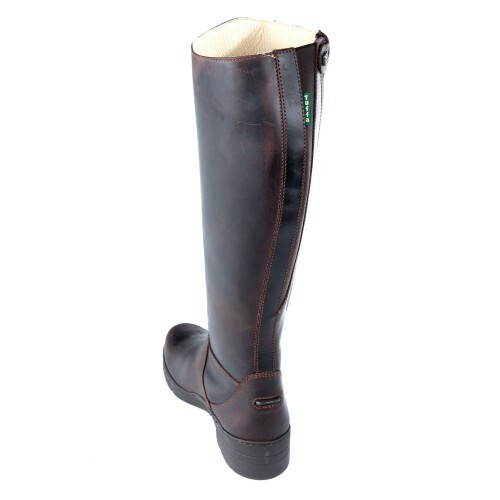 The Broadland will be a popular choice with hobby riders who like to use the same boot for yard work and hacking and would make a great hunting boot. The lining has moisture wicking and anti-bacterial properties for added comfort and the zip has a leather zip cover with Tuffa insignia. I have had these boots for almost a year. They are a stylish in the saddle and round the yard. 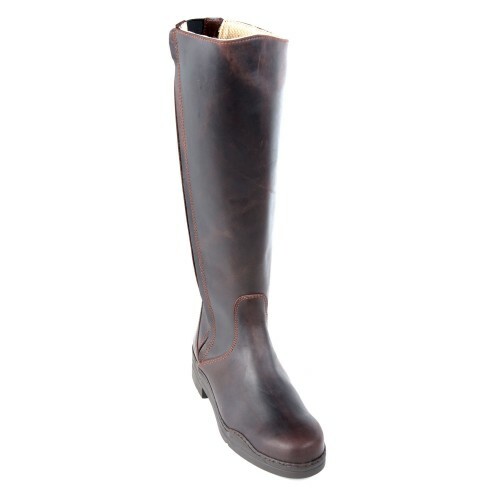 They are a superb fit and quality, offering great support around the ankle and comfort around the calf. I would recommend both these boots and this friendly company whole-heartedly! Somehow there is something extremely satisfying about zipping up a pair of long boots with one hand. I have always been very jealous of those ladies you see at shows who just zip those gorgeous boots right up. No bending over at a 90 degree angle using your left hand to attempt to draw the zip together, no burst zips ( and I'll bet they've still got blood supply to their toes...) Well, FINALLY, I have a pair of boots I can put on single handed! These are the best pair of boots I have ever had the pleasure of owning. The fit beautifully and they sculpt round your calf so your legs look FABULOUS! Very comfy, I have walked miles in them. 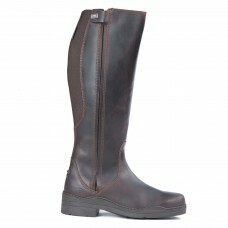 I have the boots in brown and the colour is really lovely too! Thank you Tuffa, on behalf of ladies with wide calves I salute you! After my norfolks survived many years I bought these to replace them. Such a versatile boot, very comfy and the answer to those struggling with larger calves and boots not fitting. A definite must have for everyone's equine wardrobe. They look great with jeans too!